African-American | Habari Gani, America! Reclaiming history one community at a time. The Capital Region, New York produced this short-film in celebration of Native American Day, 2015. At fourteen [John Mercer] Langston began his studies at the Preparatory Department at Oberlin College. Known for its radicalism and abolitionist politics, Oberlin was the first college in the United States to admit black and white students. Langston completed his studies in 1849, becoming the fifth #African American male to graduate from Oberlin’s Collegiate Department. 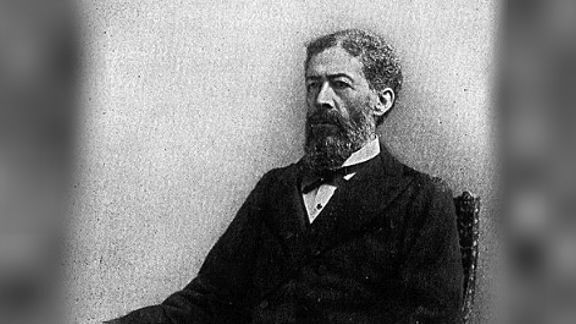 Denied admission to law schools in New York & Ohio because of his race,John studied law (or “read law”,as was the common practice then) under attorney and Republican US Congressman Philemon Bliss; he was admitted to the Ohio Bar in 1854.